Paint is one of the most versatile and wonderful instruments in the home designer’s toolbox. Not simply utilised for the colouring and coating of walls, paint can do so much more! Inexpensive, practical, DIY-friendly, and perfect if you need to undertake a quick décor related task, paint will unquestionably revolutionise your decorating arsenal. But how exactly can one use paint to transform and update a space in the home? 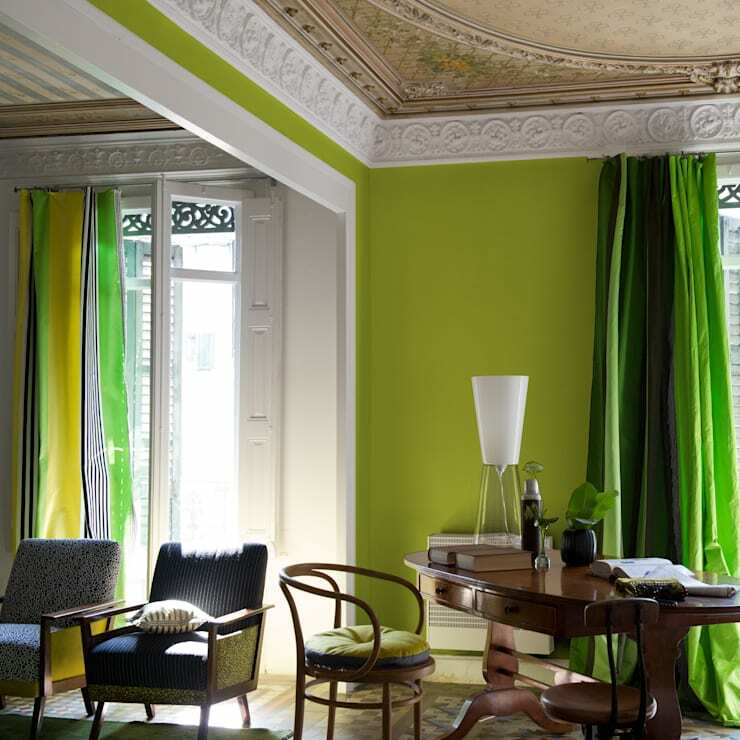 Today on homify we are looking at 9 fabulous ideas that use paint, and only paint. From colouring sections of your room, to giving furniture a renewed vibe and aura, we’ve got you covered! Read on below to see some fresh ways to utilise and incorporate paint in your abode, while modifying and renovating your home’s ambience. 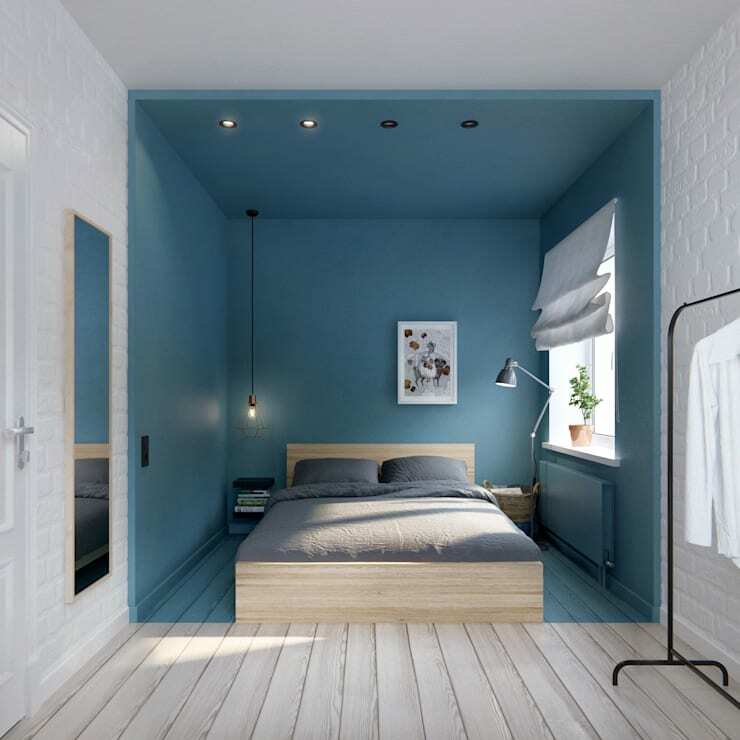 Similar to sectional painting, this compact apartment has opted for a serene blue hue for the bedroom space, which works well to create a sleeping zone and a sense of privacy. Traditional rooms tend to stick to traditional colours, but thanks to a lick of paint, this room goes far beyond the ordinary and imparts a bright, vivacious and energetic vibe. Paint not only looks stylish in the home, but it can be used to create contrast within different interior spaces as well. 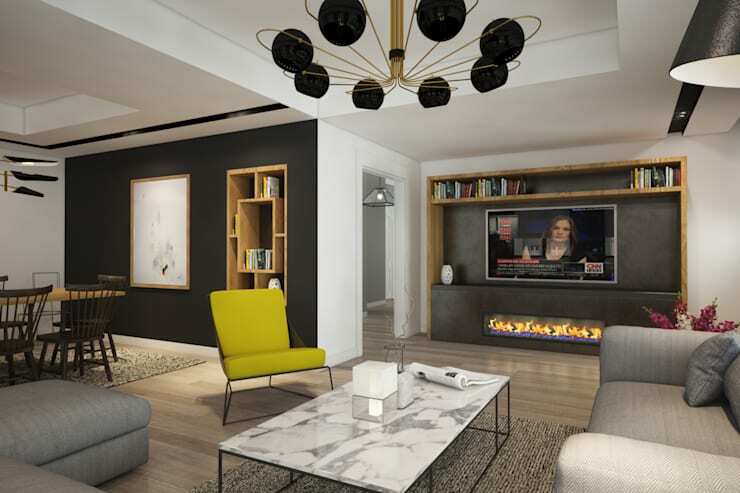 In this example we see how a dark feature wall works brilliantly against the white colour scheme, and is reflected in the entertainment cabinet, injecting a sense of cohesion and continuity within the design. First up we take a look at this impressive home office space that has utilised sectional painting to delineate a certain area within the room. 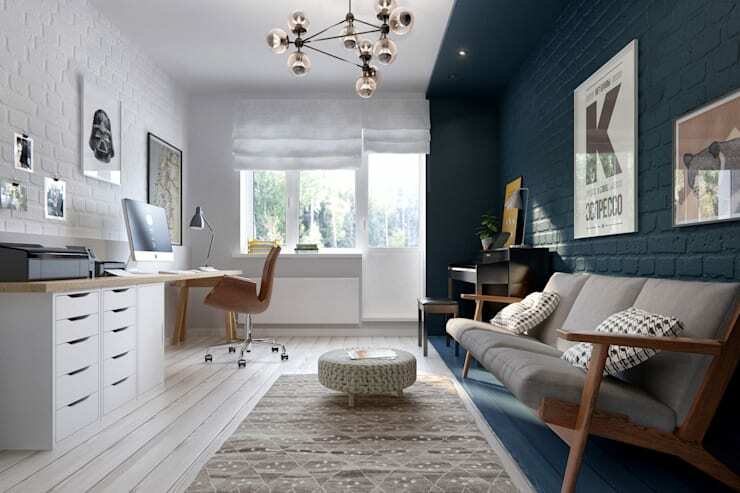 The colour scheme is predominantly bright white, but a dark navy blue hue has been added to add interest and section a certain space within the area. If you need assistance choosing colours and hues for your home, chat to a professional interior designer, who will be able to assist with some expert advice. Find a designer via the homify website, and get started today! Time to get your DIY skills happening, as you renovate and refresh your furniture. 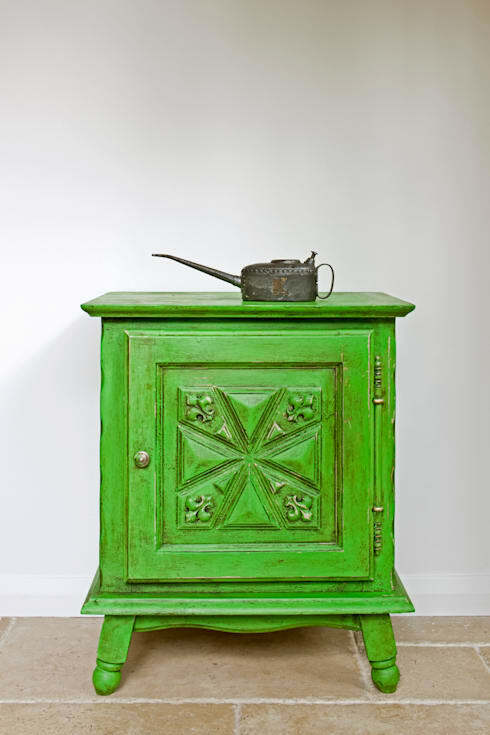 This updated cabinet has been painted with chalk paint, and now looks eye-catching and very attention-grabbing. 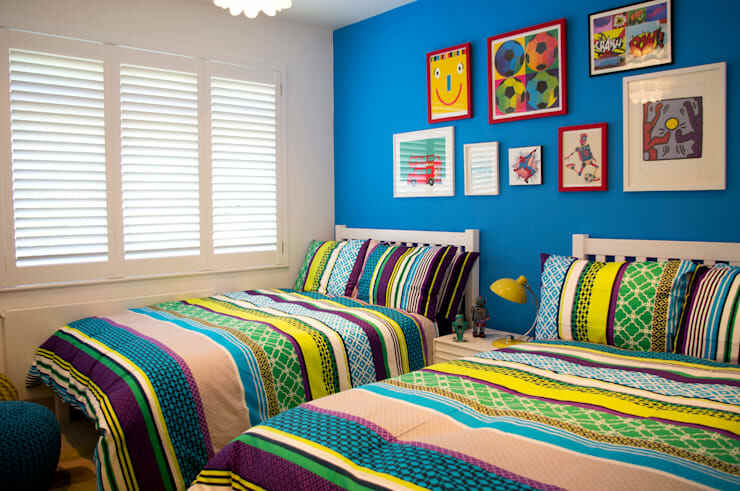 Children’s rooms should be bright, engaging and full of life. Choose a similar wall hue, and watch the space come alive! 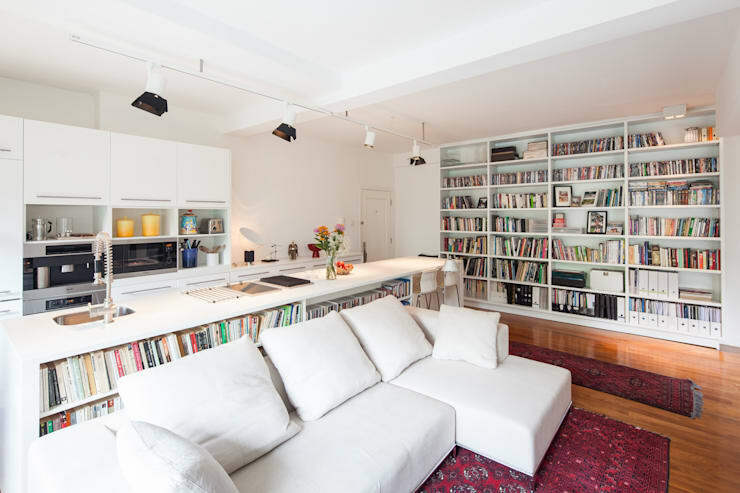 Instead of painting a wall, consider painting the back or inside of your bookshelf to impart a sense of excitement and interest within your home. This is much less invasive than painting a wall, and will up your design nous ten-fold. 8. How about a painted mural? A painted mural can look wonderful when done right. If you are unsure about your painting skills, choose something simple. If you are confident, the only limit to your home’s creativity is your imagination. For many of us, painting a ceiling might seem like a bad idea. We tend to favour white ceilings, in order to maximise the perceived space within our room; however, painted ceilings can do just that. 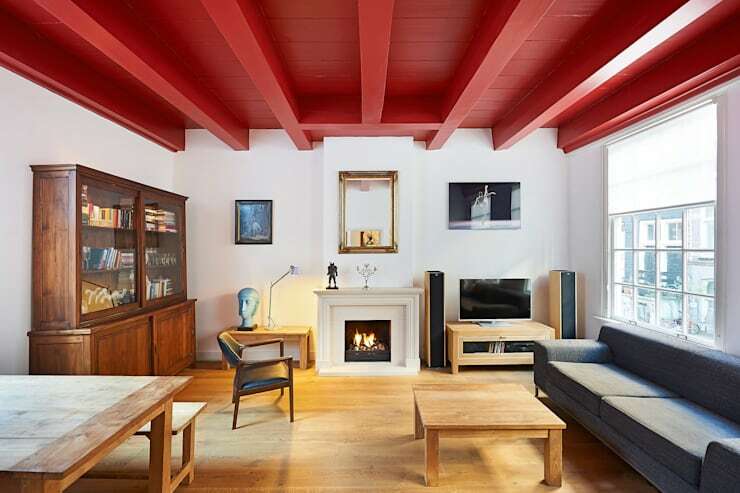 In this example we see a fabulous red painted ceiling that brings life and verve to the room, injecting class, style and a sense of uniqueness. Do you have any other budget decorating tips for us?